Nicole and I went ringing again at Sabkhat Al Fasl this weekend and managed to catch a good set of birds. We do not catch large numbers of birds but this site is proving to be much more productive that Alba Marsh in Bahrain where we used to ring before getting permission to ring in Saudi Arabia. 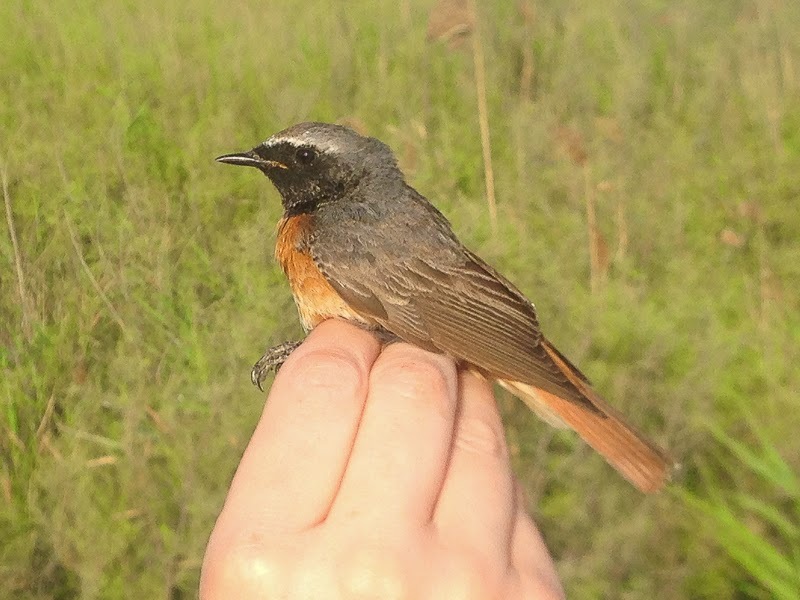 We caught a tota of 24 birds of nine species and one bird we caught that was a first for us in Saudi Arabia was a male Common Redstart that was caught in the net set in a small area of low Tamarix next to a reed bed. This net also caught a new ringing species for me that is a scarce visitor to Saudi Arabia and about which I will post details of later. As normal the majority of birds caught were Indian (Clamorous) Reed Warblers with seven birds of which one was a re-trap from the previous week and two were females with brood patches. We also caught four Caspian Reed Warblers, two Sedge Warblers that were both re-traps from previous weeks and had put on considerable weight. 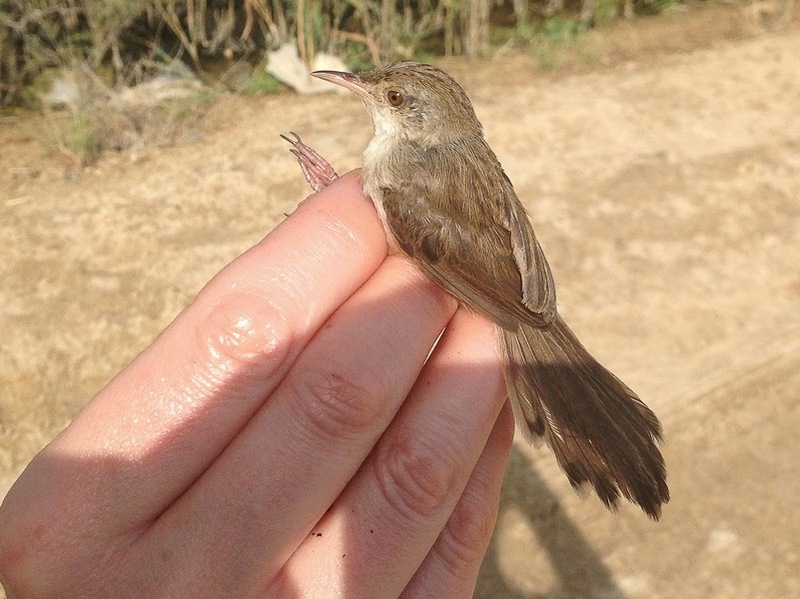 A Great Reed Warbler was also caught that appeared to be of the race arundinaceus rather than the more eastern zarudnyi that has been caught at the site previously. 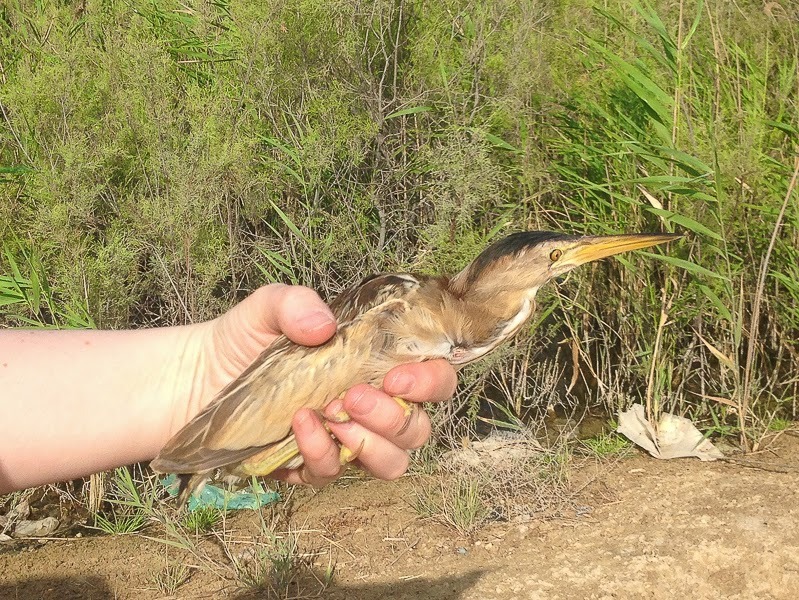 We also caught female Little Bittern three times with a brood patch so will be moving the net next week from this location to another to try to avoid catching her again. Unfortunately I did not check the condition of my camera battery before I left and it had run out of power so I only managed a couple of poor photos with my hone that are shown below.